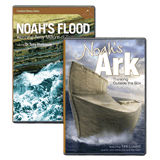 Scripture is clear about the historic reality of a global Flood in Noah’s day. Genesis 7:19–22 specifically says that “all the high hills under the whole heaven were covered” as “the waters prevailed 15 cubits [26 feet, or 8 m] upward.” All air-breathing land animals and people that were outside the Ark also died (Genesis 7:22–23). 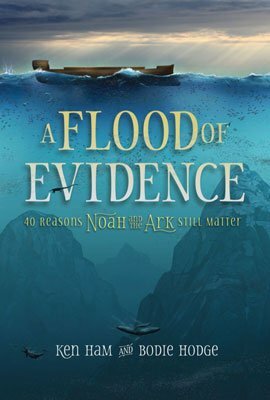 Today, many people unfortunately do not accept the biblical account of a worldwide flood because they have been taught that most rocks and fossils were deposited over millions of years (and therefore not by a global Flood). Until the 1800s, most westerners believed what the Bible records about the earth’s recent creation and the global Flood. The secular idea of millions of years did not gain extensive popularity until the 1830s, under the influence of a man named Charles Lyell. Based on how slowly many rock layers seem to form today, Lyell rejected the Bible’s claims and declared that the earth’s many rock layers must have been laid down slowly over millions of years. But he never witnessed the actual formation of the earlier rocks to see whether they could be laid by a unique, one-time global Flood unlike anything we observe today. Lyell’s claim was based on his own preconceptions, not his observations. In contrast, modern geologists observe that most new sediment layers are deposited rapidly in catastrophic events. Yet Lyell’s idea took hold in Western universities and spread throughout the Western world. Sadly, many Christians simply tried to add this idea to the Bible. What these Christians should have done was stand on the authority of the Bible and defend the global Flood, which can easily account for the bulk of fossil-bearing rock layers we find all over the world. LOCAL FLOOD? NOPE The Flood in Noah’s day covered all the high hills under heaven by 15 cubits (Genesis 7:19–20). How could that be limited to one region of earth? 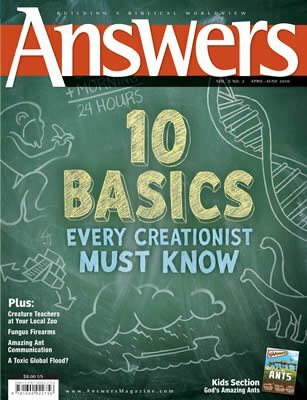 Some Christians have tried to put millions of years of rock formation before the global Flood to explain the bulk of the rock layers that contain fossils. But the problem is that the Flood waters would have ripped up a number of these old rock layers and laid down new ones! So this compromise not only fails to explain the rock layers but also dishonors the clear claims of Scripture. Although there is tremendous physical evidence of a global flood, ultimately, it is a matter of trust in a perfect God who created everything (Genesis 1:1), knows everything (Colossians 2:3), has always been there (Revelation 22:13), and cannot lie (Titus 1:2). The only alternative is to trust imperfect, fallible human beings who can only speculate on the past (see Romans 3:4).